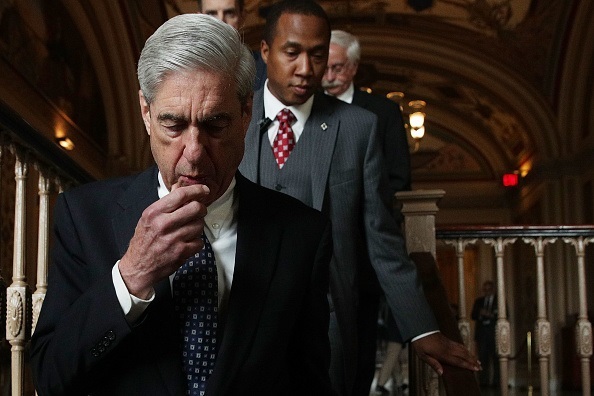 (CNSNews.com) - Press speculation that Special Counsel Robert Mueller will soon report his Trump-Russia findings to Attorney General William Barr has Democrats insisting that they get a look at Mueller's report, too. "I think the Congress has a really critical constitutional responsibility here," Sen. Ben Cardin (D-Md.) said on Wednesday, after CNN's Wolf Blitzer asked him if Congress might subpoena Mueller and his report. "We need to get the Mueller report," Cardin said. "We need to know what that investigation showed. So hopefully that will be made available through the attorney general, but we will use every means we need to in order to get access to the report." In a separate interview on another CNN program, Rep. Ted Lieu (D-Calif.) raised the possibility of forcing the report's release to Congress: "We could try to subpoena the entire report," Lieu said. "We could also subpoena witnesses to come in and testify before the Judiciary Committee, such as Robert Mueller or other prosecutors on his team." According to the rules governing special counsels: "At the conclusion of the Special Counsel's work, he or she shall provide the Attorney General with a confidential report explaining the prosecution or declination decisions reached by the Special Counsel." The attorney general, in turn, "may determine that public release of these reports would be in the public interest" -- or not. So Attorney General Barr could release a redacted report, or a summary of the report, or no report at all. Cardin, Lieu and other Democrats are demanding "transparency."